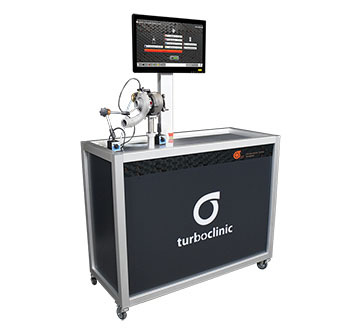 The new VNT is TurboClinic’s bet to replace the VNT v2. The large working area, the ergonomic design and the 21,5’ touch screen make this an extremely comfortable equipment for the user. It bares the same reliability, precision and efficiency as its predecessor and it also uses the artificial vision to adjust the pneumatic actuators. This is the VNT which grows with the client’s business and according to each client’s needs. It gives the client the possibility of acquiring the standard version and later update the equipment to integrate new features. The add-ons also make this the most complete equipment on the market.